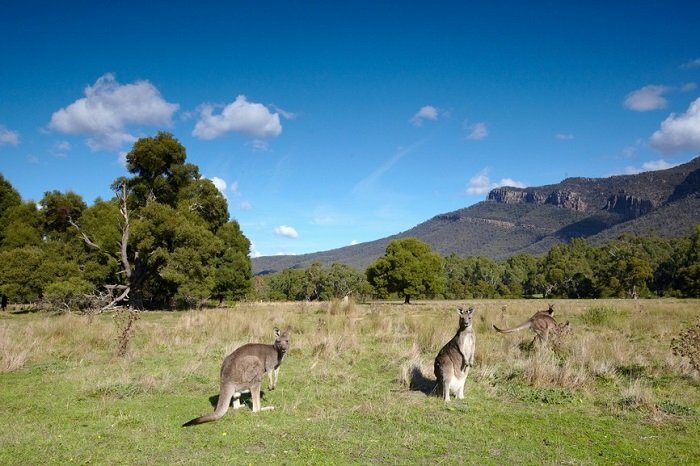 To the west of Melbourne, the Grampians National Park sprawls out in a show of wildlife and spectacular scenery. 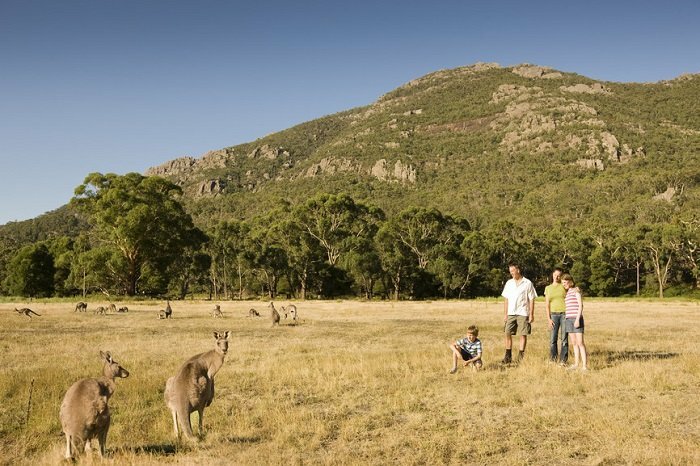 On the 1 Day Grampians Tour, you can get up close and personal with nature, catching a glimpse of native favourites like kangaroos and wallabies, and soak up the serene surroundings that are filled with waterfalls, mountain views, and Aboriginal culture. Please note: We do not carry children under 8 years of age on this tour. The day begins in Melbourne, where we’ll pick you up and make our way to the Grampians National Park. On the way, we’ll stop off in the quaint town of Beaufort, where you can refuel with a morning tea. Afterwards, we’ll dive straight into the history of the region at the Brambuk Aboriginal Cultural Centre. 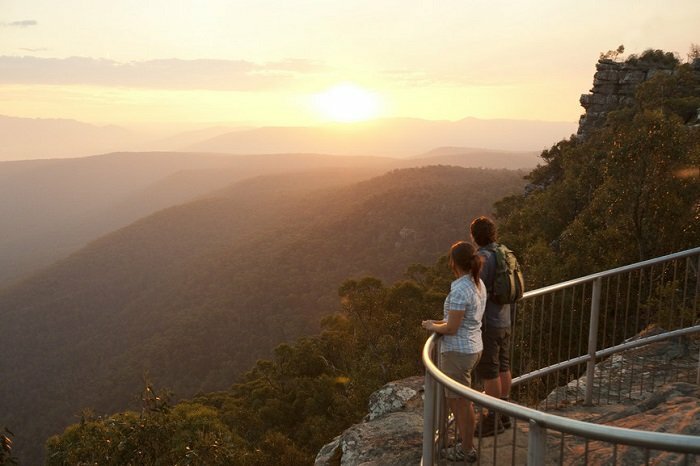 Here, you can learn more about the fascinating past of the park and discover some of the local Aboriginal communities that still live here today. 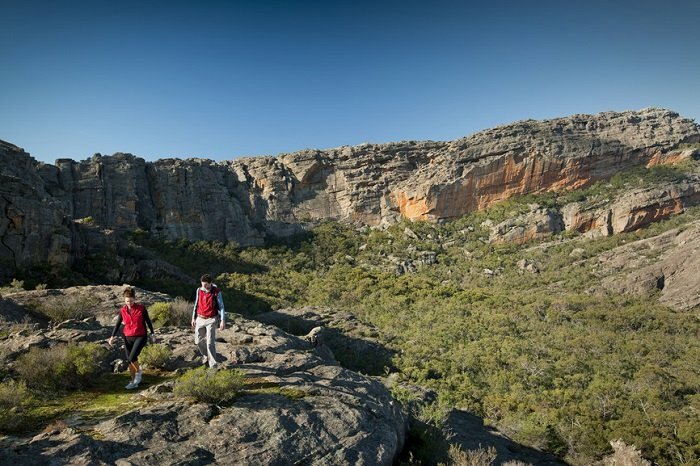 For lunch, we’ll tuck into a picnic set against the breath-taking backdrop of the Grampians mountains before we head right into the heart of the park to the charming township of Halls Gap. 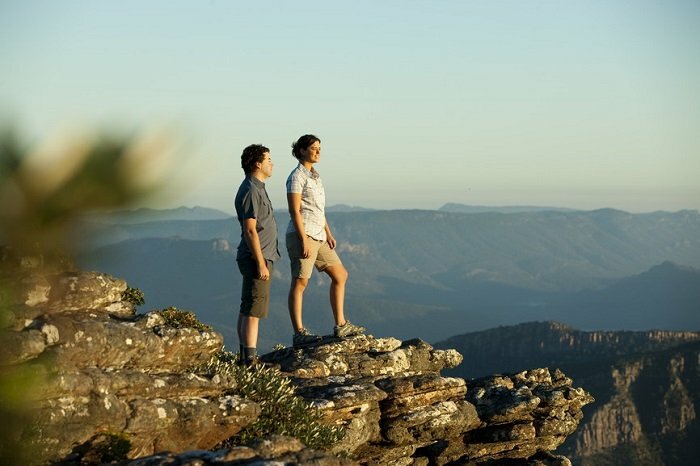 Then it is time for a walk to the Boroka Lookout or Lake Bellfied, where you can marvel at the magnificent views before we check out the Balconies Lookout. Next up, it is time for some waterfall action. We’ll visit either the Mackenzie or the Silverband waterfall, both of which provide amazing scenery and the chance to cool off in their base pools. 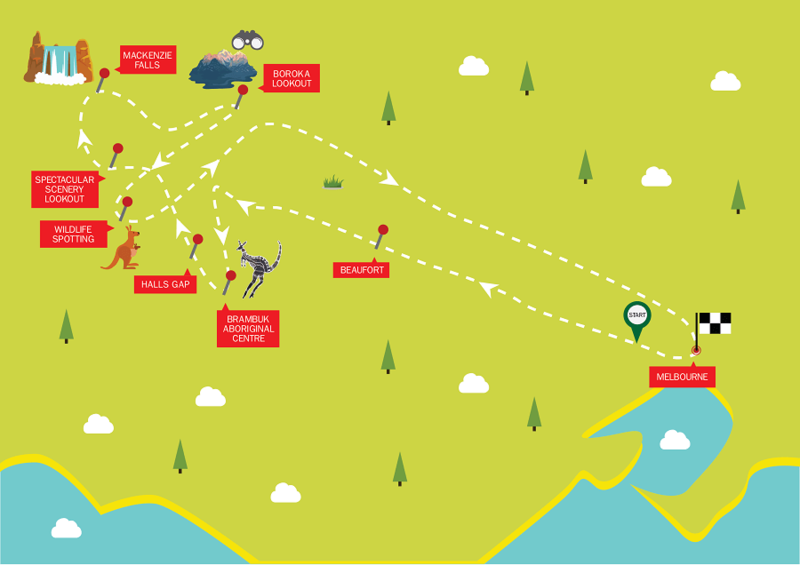 All the while, we’ll be keeping our eyes peeled for local wildlife, including kangaroos, emus, and a vibrant selection of colourful bird life. As the tour comes to a close, we’ll make our way back to Melbourne, stopping on the way for you to grab some dinner.